Ryan Sandberg has returned to the organization where his career began. 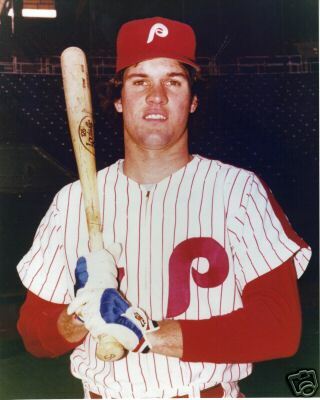 After losing out to Mike Quade in his bid to become manager of the Chicago Cubs, Hall of Famer and team icon Ryne Sandberg has left the organization to pursue a managerial opportunity with the Triple-A affiliate of the Philadelphia Phillies. Sandberg’s transfer is an ironic kind of homecoming. In one of the worst deals in major league history, the Phillies sent Sandberg and fellow future All Star Larry Bowa to the Cubs for Ivan de Jesus during the winter of 1982. Had he been awarded the Cubs job, Sandberg would easily have become the current manager with the best playing career (and the best since Frank Robinson retired as manager of the Expos in 2006). Instead, they opted for Quade, who never played above the double-A level. Although likely unpopular in Chicago, history suggests the Cubs probably made the right decision. Not only doesn’t being a better player usually translate to being a better manager, but the opposite seems to be true. With that in mind, below is an “All Star” team of mostly “All Star” managers. To qualify for the list, candidates had to manage at least 700 games, win at least one pennant and maintain a winning percentage above .500. Then, the playing careers of all qualified managers were considered to determine the representative for each position. Listed below are those choices. *Inducted into the Hall of Fame as a player in 1946. Clark Griffith was a player/manager for four different organizations, but notably was the White Sox’ first manager as well as the Yankees’ first manager while in New York. Despite winning only one pennant (in his first season as player/manager with the White Sox), Griffith finished his managerial career with 1,491 victories, which is still good for 20th all-time. Although Griffith was also a mediocre outfielder, he was most known as a player for his accomplishments on the mound. A seven-time 20-game winner, Griffith, ended his career with 237 victories. Honorable Mention: Bob Lemon won 207 games as a pitcher and 430 games as a manager, including two pennants and a World Series championship with the Yankees. *Inducted into the Hall of Fame as a manager in 1997. Tommy Lasorda always liked to say that he bled Dodger blue, and there was no denying he was a blue blood among managers. Lasorda’s 1,599 wins as a manager rank him 17th on the all-time list. He also owns four NL pennants and two World Series victories. Lasorda makes it to this list solely on the basis of his managerial ability because he actually never won a game as a player. As only one of two left handed pitchers (Eddie Dyer being the other) who met the screening criteria, Lasorda’s competition was light, so this All Star team gets the benefit of including one of the games best ambassadors and entertaining storytellers. Joe Torre was also a candidate for this list at 1B and 3B, but played most of his games (903) behind the plate. As a manager, Torre was also able to spread the wealth by winning a division title with three different teams. His six pennants and four championships with the Yankees are what propel him onto this team, not to mention his 1,173 victories in pinstripes. In total, Torre’s 2,326 victories rank him fifth all-time. Honorable Mention: Yogi Berra’s exploits as a player were legendary; he won three MVP awards, made 15 All Star Games and played on 10 championship teams. 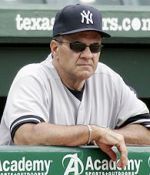 Although he did have some success as a manager, Torre’s comparable offensive numbers and overwhelming win total as a manager earn him the nod. Still, Berra remains the only man to win a pennant as skipper of both the Mets and Yankees. *Inducted into the Hall of Fame as a player in 1939. 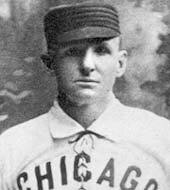 Cap Anson is one of the greatest players to ever walk on a diamond, but still remains relatively unknown because he played before the turn of the 20th century. The only men to knock in more runs than Anson were Hank Aaron and Babe Ruth, and his .334 batting average ranks 24th on the all-time list. Perhaps even more remarkable, however, Anson managed to win five NL pennants with the Cubs (there was no World Series at the time), proving that being a lovable loser isn’t a pre-requisite for playing on the North Side. *Inducted into the Hall of Fame as a player in 1947. Frankie Frisch was one of the better players in the National League during the 1920s, but made a name for himself as the manager of the gritty St. Louis Cardinals’ “Gas House Gang” of 1934, the only year he won the pennant as manager. 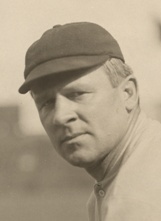 Frisch learned his rough and tumble style of play from John McGraw, his manager when he played with the New York Giants from 1919 to 1926. After leaving the Cardinals during the 1938 season, Frisch later managed the Pirates and Cubs, but failed to achieve the same level of success. Honorable Mention: Miller Huggins was best known as one of the architects of the first Yankees’ dynasty, winning six pennants and three World Series titles in his 12 seasons as manager. However, he was also an accomplished second baseman for the Reds and Cardinals. *Inducted into the Hall of Fame as a player in 1956. Joe Cronin was an All Star shortstop for the Senators and Red Sox who, as player/manager, also led both teams to a pennant, a rare feat considering the lack of success experienced by each franchise following his departure (both teams had pennant droughts of longer than 20 years after Cronin). *Inducted into the Hall of Fame as a manager in 1937. John McGraw was such a touring figure as Giants’ manager, it’s very easy to forget that not only did he play, but he did so with much success. Most of his playing years took place before the turn of the century and centered around the city of Baltimore. In fact, he played for a Baltimore Orioles franchise in three different organized leagues (the American Association, National League and American League). While with the Orioles of the American League, the team that would eventually move to New York to become the Yankees, McGraw served as player/manager in 1901, making him the first skipper in pinstripe history. Ironically, McGraw would spend most of 1902 conspiring with Giants owners Andrew Freedman to keep the American League out of New York. Although he was unsuccessful in that regard, McGraw did enjoy a 31-year career as manager of the Giants, during which he won three World Series as well as a record 10 NL pennants. McGraw’s 2,763 victories ranks second only to Connie Mack’s 3,731. *Inducted into the Hall of Fame as a player in 1937. Tris Speaker was not only one of the best players of his era, but still rates among the greatest of all time. A renowned defender in center, Speaker ranked among the top-10 in just about every major offensive category over the bulk of his career. His .345 career batting average ranks sixth all time and his cumulative offensive WAR places him in the top-10. Despite not having the HR power of Babe Ruth and other sluggers who entered the game at the end of his career, Speaker’s 792 doubles remains as a major league record. 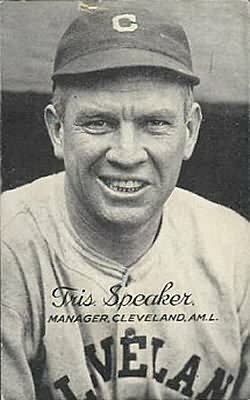 After spending half is career with the Red Sox (he played with Ruth in 1914 and 1915), Speaker moved to the Indians in 1916 and by 1919 was appointed player/manager. In his first full season as manager, the Indians won their first of only two World Series titles in the team’s 110-year history. If not for the emerging dominance of the Yankees in the era, Speaker may have won more games as a manager, but still retired with an impressive .543 winning percentage. *Inducted into the Hall of Fame as a Player in 1945. Fred Clarke is a mostly forgotten name from baseball’s past, but he was one of the better players in the National League during his years with the Kentucky Colonels and Pittsburgh Pirates. With the latter, Clarke also enjoyed great success as a player/manager, winning four pennants (two coming before the advent of the Fall Classic) and a World Series during his 16-year tenure. In addition, Clarke presided over the greatest winning percentage by a team in modern major league history when his 1902 Pirates went a remarkable 103-36 (his 1909 squad, which went 110-42, holds the second highest winning percentage). *Inducted into the Hall of Fame as a manager in 1966. Never a star player, Casey Stengel nonetheless had a very productive major league career as an outfielder for five different National League teams. His most heralded moments as a player came as a member of the Giants in the 1923 World Series against the Yankees. In game 1, Stengel’s inside-the-park homerun broke a 4-4 tie in the top of the ninth, and then in game three, he belted another homer in the Giants’ 1-0 victory. Despite Stengel’s heroics, the Yankees beat the Giants in the series, but the Old Perfessor would later win his share of rings managing in the Bronx. Before that, however, Stengel would languish in the second division as manager in Brooklyn and Boston. After paying his dues, Stengel was named Yankees manager in 1949 and proceeded to win five straight championships. 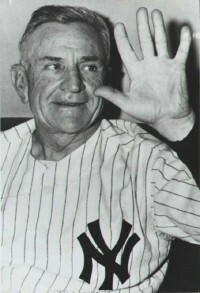 In 12 seasons at the helm of the Yankees, Stengel won 10 pennants and seven World Series (matched only by fellow Yankee skipper Joe McCarthy), while posting an astounding .623 winning percentage. One day, Ryne Sandberg might earn a place on this team, but it likely won’t come as a result of managerial success with the Cubs. Who knows…after almost 30 years, the Phillies may finally get a chance to balance the scales? There was a World Series when Anson was winning pennants, but his club lost the two they were in (1885, 1886). Also, the 1906 Cubs had the best record in “modern” MLB. Thanks for pointing out the oversight of the the 1906 Cubs. However, the first World Series was in 1903 between the Red Sox and Pirates, so you are mistaken about Anson.